Published: Nov. 15, 2015 at 04:14 p.m. Published: Nov. 1, 2015 at 12:17 p.m. 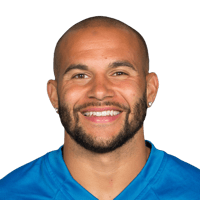 Published: Oct. 18, 2015 at 04:13 p.m.
Detroit Lions quarterback Matthew Stafford hits wide receiver Lance Moore for 26 yards. Published: Oct. 18, 2015 at 03:17 p.m.
Detroit Lions quarterback Matthew Stafford connects with wide receiver Lance Moore for 42 yards.